We hope you enjoyed our “trailer” just up here. 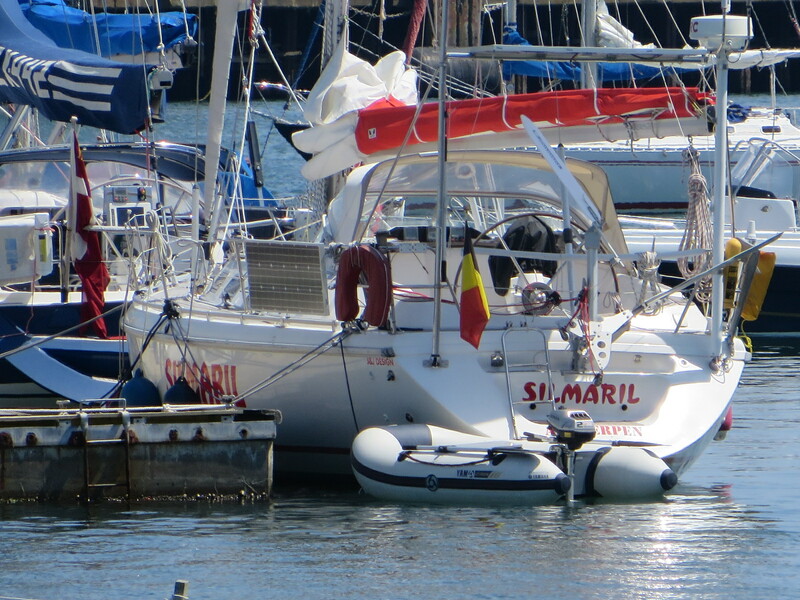 We are Patrick & Leentje, and we decided to go and explore the world by means of a sailing boat, named SILMARIL. Bernard Moitessier, Eric Tabarly, Tristan Jones, Ellen MacArthur, Robin Knox-Johnston, Henk De Velde … are Patrick’s sailing heroes. As a young man he got inspired by their books. Their stories made him dream. The idea someday to make a sailing trip around the world has never left him. It’s long been a dream, but slowly over the years the realisation grew that maybe this dream could be turned into reality. This was the point of no return although the final decision was taken only years later. In the meantime we have sailed from The Netherlands to Brazil, via Madeira, The Canaries and The Cape Verdean Islands. We visited the area of Salvador, and more recently Rio de Janeiro and Bahia de Ilha Grande. Our next destinations will probably be French Guyana, Suriname and The Caribbean. Next to living on Silmaril, we spend time in our home country Belgium to visit our (growing) family and our friends. Check out our posts, video’s and pictures for more details. Our blog is primarily meant to inform our loved ones about our adventures, and anyone else interested in sailing, traveling and adventure. Since we have friends in many countries we thought it was a good idea to write this blog in English. You can also follow us on facebook. “Fair winds and following seas”, … feel free to get in touch.